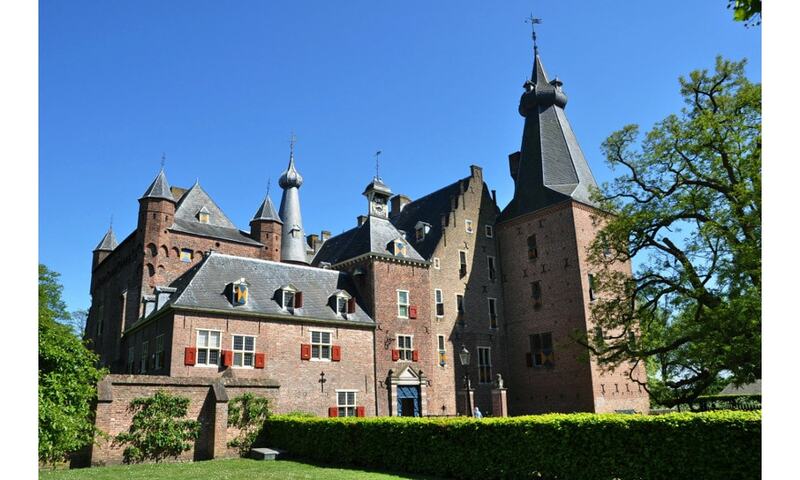 Doorwerth Castle is a medieval castle situated on the river Rhine near the city of Arnhem. The original castle, probably wooden, is first mentioned in 1260 when it was besieged and burned to the ground. The castle was then rebuilt in stone. This second castle probably consisted of a simple hall-keep, two stories high with 1.20 meter thick walls, and featured a surrounding moat which was fed by the nearby river Rhine. During the 14th century the castle was continually enlarged; it reached its largest form just after the middle of the 16th century under Daem Schellart van Obbendorf, the 15th Lord of Dorenweerd. Directly after WW II a lengthy restoration began that lasted until 1983. By then the castle was back into its 18th-century state and was owned by the "Friends of the Castles of Gelderland" foundation who now maintain the castle as a museum.